Milford Sound is a ‘must do’ for any visitor to New Zealand and experiencing this spectacular landscape by air is the best way to appreciate the scale and grandeur of the Fiordland National Park. With Southern Alps Air every passenger gets a window seat to ensure the best view possible. 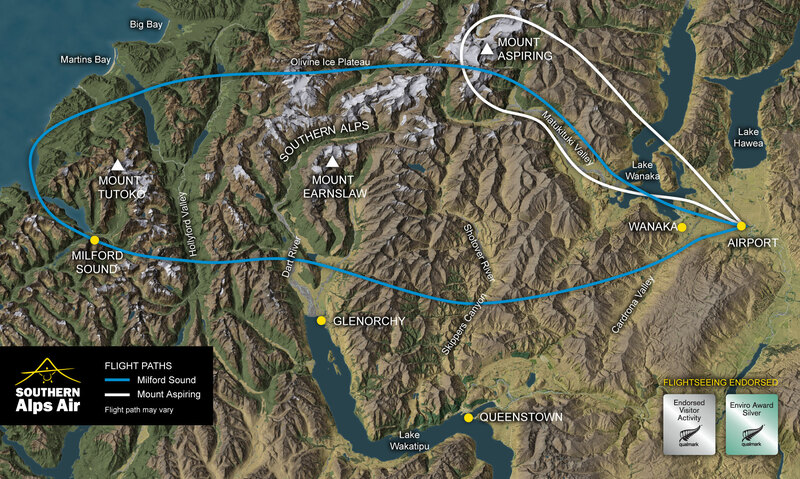 This epic flight includes numerous sights such as the Fox, Franz Josef and Tasman Glaciers, as well as Mount Cook (Aoraki), Mount Aspiring (Tititea) and Milford Sound (Piopiotahi). Ideal for those with less time but who still want to experience the beauty and wonder of Milford Sound by air. The ultimate Milford Sound Experience; the helicopter flies you to Milford’s local glaciers and gets you up close and personal to it’s hidden wonders. See Milford Sound from every angle on this incredible scenic flight and cruise option.